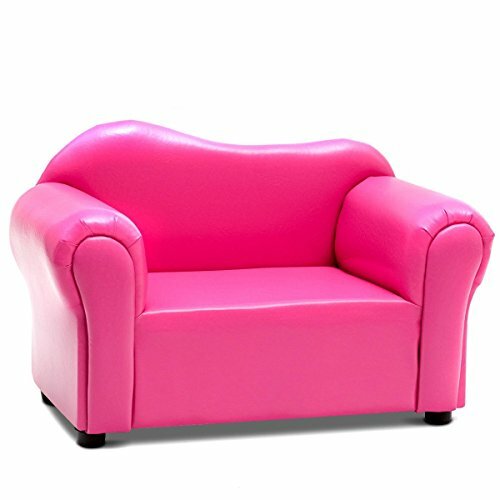 Svitlife rose kids armchair & sofa is a fun and multi-functional addition to any kids room. Kids could rest themselves comfortably in it after a long day of play or study. With its nice appearance, it is ideal for any children's bedroom or playroom! Kids are able to enjoy resting, watching TV or reading a book in this lovely sofa. It is easy to clean and maintain it due to the material it is made of. This cute kids sofa is a terrific gift for your kids. Just bring it home now!